Rental property management can be demanding, and at American Apartment Owners Association, we make it our job to help landlords meet those demands. We take pride in offering solutions to all of your property management needs. In addition to our current services, including the best in tenant screening and landlord forms, AAOA is now offering RENT Magazine, with in-depth coverage of all of the issues that concern you and your rental business. Now in its third edition, RENT Magazine features industry expertise on a variety of cutting-edge topics, from screening tips and filling vacancies to apartment design, finance and management strategies. You will discover insights from some of the top names in the industry. Click here to take a look. 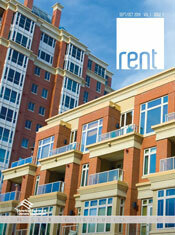 RENT Magazine. It’s one more reason to make AAOA your landlord association.